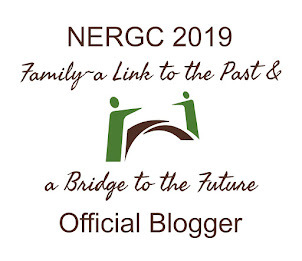 THE DEMANDING GENEALOGIST: In genealogy, all roads are good. In genealogy, all roads are good. I’ve been noodling around the internet, searching on blog postings that discuss professionalism and genealogy. I’ve found some interesting postings that are worth considering in our discussion of professionalism and genealogy. I hope you get a chance to read and consider them as we go forward in our discussion. Mary and Jim Petty currently have 39 blog postings on the topic Professionalizing Professional Genealogy. Mary’s astute observations on the blurriness of the use of the word professional includes the following observation, “While commercial Genealogical Research Services has not professionalized, attempts to use the adjective ‘professional’ as a ‘noun’ or ‘state of being’ for the personal, volunteer, or pro bono publico aspects are taking place.” In blog postings and on email listserves, Mary has discussed her desire to require licensing in the field. With a fresh perspective from the other side of this particular coin, Greta Koehl posted about the advantages of not being a professional in genealogy. Unlike medicine, genealogy has no barriers to entry. Hundreds of thousands if not millions of people are genealogists. Like writing, genealogy has a range of different types of practitioners. In writing, there are freelance writers, fiction writers, nonfiction writers, newspaper reporters, bloggers, high school students writing term papers, and anyone who keeps a diary. Both genealogy and writing are at once a hobby, an academic methodology, and a paid career. My experience over the years is that there are many reasons for individuals to become genealogists. For me, there was satisfaction in extending my knowledge and in learning about what life was like for my ancestors in different periods and in different countries. Classically, people come to genealogy in an effort to make their own knowledge of family accessible to their grandchildren. For others, a sense of origin is important. Some endeavor to fill in as many blanks as possible in their pedigree charts, carefully evaluating evidence as they go. In episodes of the American and British Who Do You Think You Are? television series, celebrities often desire to explore the less-known or less-famous parts of their families. Many join lineage organizations to celebrate famous or infamous forebears. Let me be clear on this: I regard every effort in genealogy as a legitimate effort. All have value. Mary Petty, “What constitutes a genealogist?” 6 May 2009, Heirlines Professional Genealogy Blog; http://heirlinesprofessionalgenealogy.com/what-constitutes-a-genealogist/ : accessed 13 Nov 2011. Mary Petty, “APG at a Crossroads,” 16 Nov 2006, Heirlines Professional Genealogy Blog; http://heirlinesprofessionalgenealogy.com/apg-at-a-crossroads/ : accessed 13 Nov 2011. Michael Hait, “What is a professional genealogist?” 7 Nov 2011, Planting the Seeds; http://michaelhait.wordpress.com/2011/11/07/what-is-a-professional-genealogist/ : accessed 13 Nov 2011. Greta Koehl, “Why I Want to Remain an Amateur,” 6 Nov 2011, Greta’s Genealogy Blog; http://gretabog.blogspot.com/2011/11/why-i-want-to-remain-amateur.html : accessed 13 Nov 2011. “Martin Freeman,” Who Do You Think You Are? BBC television; http://www.youtube.com/watch?v=YPHPcJQI36c : viewed 13 Nov 2011, 5 parts. “Susan Sarandon,” Who Do You Think You Are? 2010, NBC television; http://www.youtube.com/watch?v=MVO345fSqK4 : viewed 13 Nov 2011. Thanks for this post. As a professional genealogist (full-time) I agree that "All roads are good." I could just as easily say I am a professional researcher that specializes in genealogical topics. I am so glad you have expressed it this way - I think inclusion and education are the way to go, and that everyone has something to contribute. I have a number of cousins who don't do the full "genealogy geek" thing, but are very interested in our family history, have shared many family stories, and have encouraged me in my research.